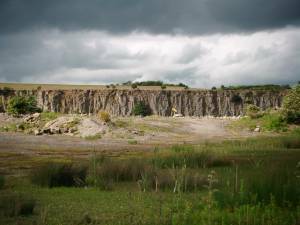 Geology Quarried exposure of the Main Limestone in the face of this disused quarry. Now a commercial tip site -No access without permission. 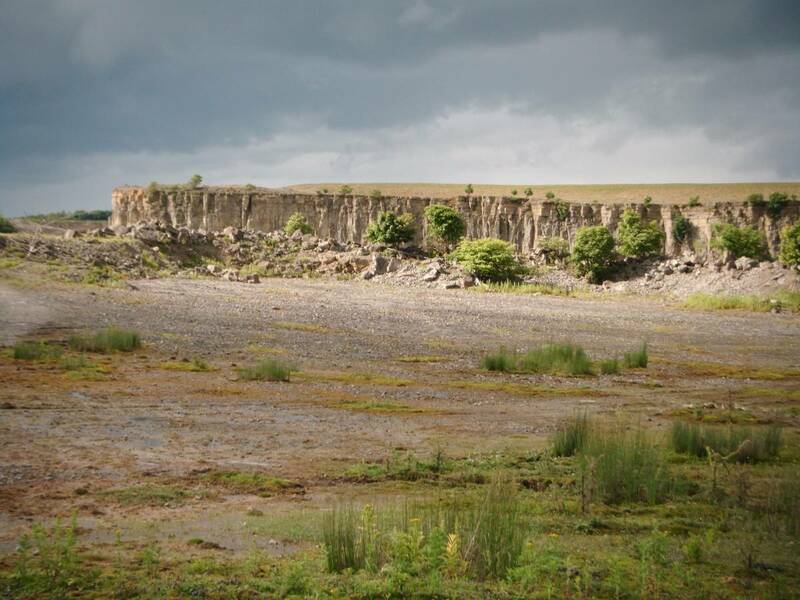 Record Name Leyburn Moor Quarry. The Main Limestone. 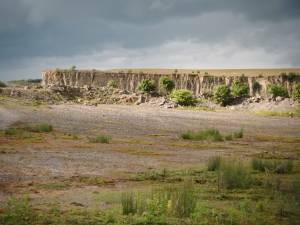 Record Description Exposure of the Main Limestone in the face of the now disused Leyburn Moor Quarry. 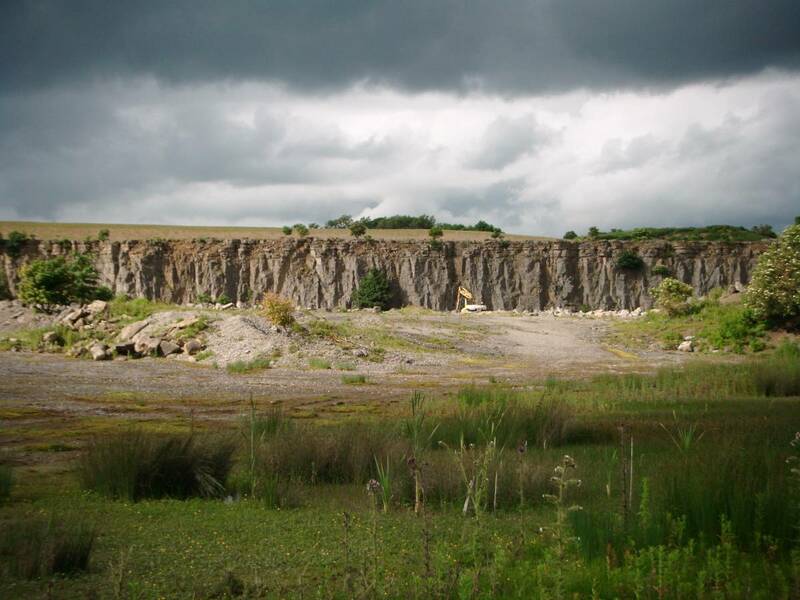 Photographed during a visit to the quarry by members of the BSBI.